Tip number 1: Make the best out of every situation. It’s the small things you’ll remember, even the not-so-great times. Be sure to enter your campervan with high spirits and an open mind. Tip number 2: Apps and maps. Maybe a break from technology and iPhones is exactly what you’re looking for, but apps may not be something to dismiss when taking your campervan for a sweet escape from reality. Sometimes you may find that, wherever you go, there may be a camping app which shows every camping/campervan site open and available, likewise you can use google maps. This may be invaluable after a long day getting lost in the depths of the UK! Tip number 3: Keep warm! If you’re heading up north or are unsure on the forecast (it is the UK we’re talking about here), then ensure you’ve packed enough gear to keep you warm. You can do all those trails, nights along the coast and lakefronts knowing you can survive the weather. Tip number 4: Location, location, location. When you’re planning where to stay for the night, think about the surrounding area and what might ruin your stay. Pitches beside the riverfront may look beautiful, but can soon become boggy and attract insects. Bringing things such as a compass to align your van to the sun making the most of the light are small but handy tips to remember when you’re out and about. Tip number 5: Pack light. On gloomier days, the last thing you’ll want to do is shift around a tonne of clothes and luggage that really didn’t have to be there. Think minimal! Alternatively, you could use replaceable clothes from supermarkets and avoid laundry entirely. Tip number 6: Make friends! Meeting up with the same vans can create a warm comradeship between fellow campers. You will make friends for life in a campervan with a unique bunch who love the open road just as much as you. And if you’re travelling in a family, sometimes teaming up with another can make life just that bit easier! Tip number 7: An open plan. It’s important to plan your trip, that’s a definite. You want an outline of your holiday and its best to have an idea of where you want to go. However, don’t follow an hour-by-hour itinerary. You may have a change of heart over the course of your holiday, whether it’s due to weather or a simple change of heart, or you may just find yourself in a spontaneous situation. Allow the course of your campervan experience to flow free! Tip number 8: Try before you buy. 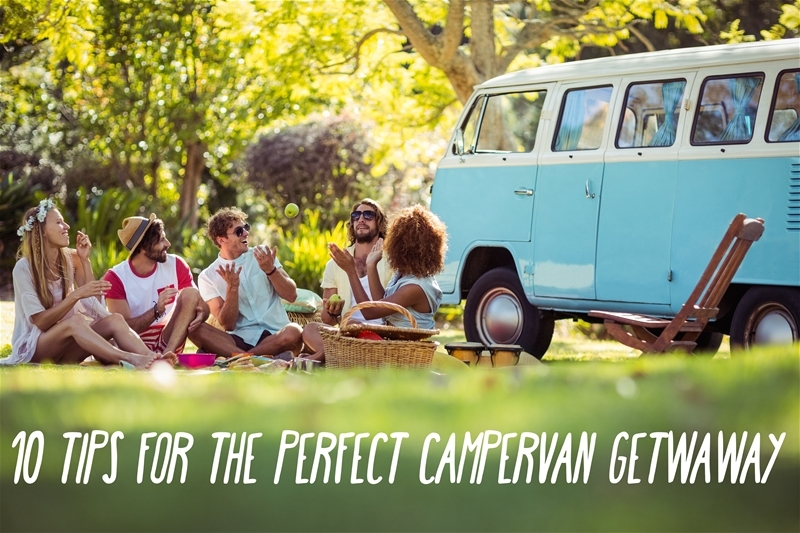 If you’re completely in love with the idea of spending your spare time cruising around in your own VW, its recommended that you spend some time renting one out for holidays before you splash out on your own little campervan. Experience the good and the bad before deciding on the lifelong commitment to own one yourself.